Ahead of the 2019 general election in Nigeria, popular presidential candidate, Atiku Abubakar, is holding talks with Peter Obi as rumours of 'running mate' thickens. The Peoples Democratic Party (PDP) presidential candidate, Alhaji Atiku Abubakar, is currently in a closed-door meeting with Peter Obi in Abuja. According to PREMIUM Times, the former Anambra state governor arrived at Atiku Abubakar’s residence in Asokoro neighborhood around 3:00 p.m., and both men have been holding undisclosed talks. Meanwhile, reports making the rounds online claim that Peter Obi who is widely speculated as a top candidate for vice president, has been picked as Atiku's running mate. As at the time of filing this report, it was not immediately clear whether Peter Obi’s visit was in connection to the intensified reports of an announcement of a running mate. Here are the 'running mate' reports as culled from Twitter. 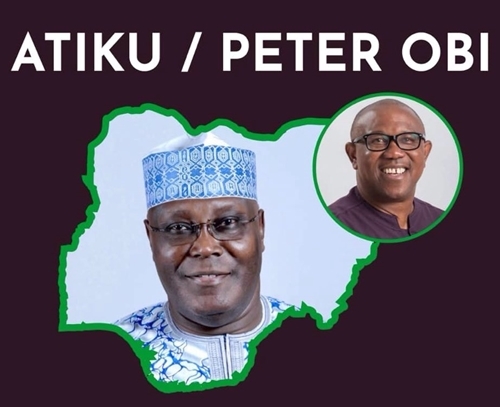 BREAKING | @atiku picks Peter Obi as running mate. More details to come. 2019 election takes shape as PDP presidential candidate @atiku picks ex-Anambra Governor, Peter Obi as his running mate.